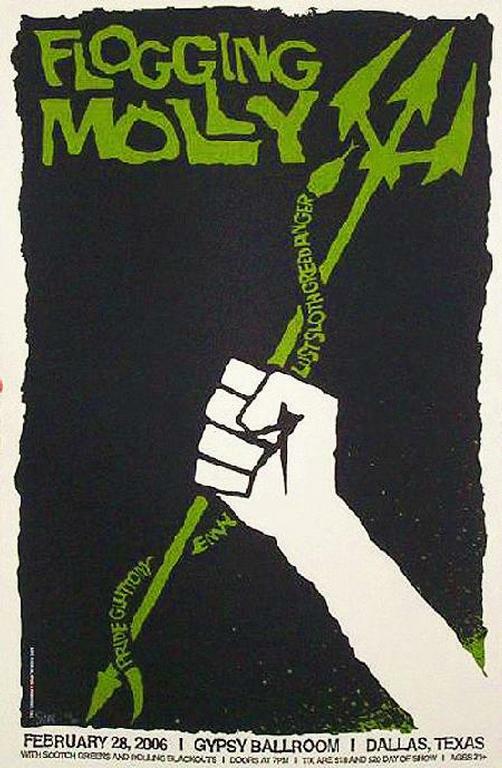 Original silkscreen concert poster for Flogging Molly at the Gypsy Ballroom in Dallas, TX. 16 x 26 silkscreen on card stock. Signed and numbered edition of only 200 by artist by Todd Slater.